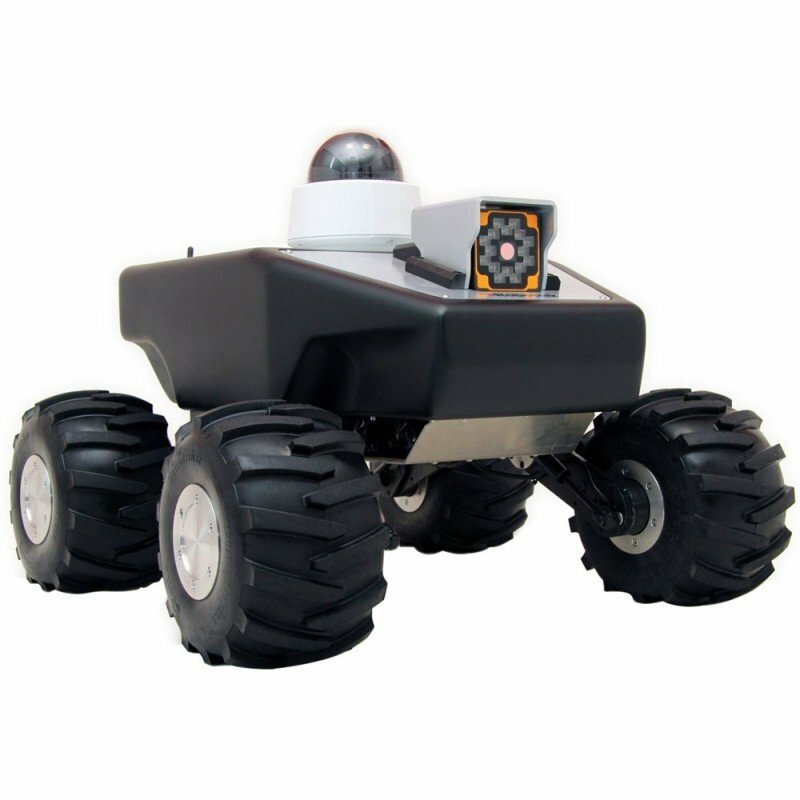 The Summit XL 4WD Autonomous Robot is a medium-sized high mobility all terrain robot with extreme performance. It is ideal for research and as a testbed for application development both for indoor and outdoor applications. The Summit XL has skid-steering kinematics based on 4 high power motorwheels. Each wheel integrates a hub brushless motor with gearbox and encoder (optional). The odometry is computed with the use of the four encoders (optional) and a high precision angular sensor mounted inside the chassis. The strong mechanical structure allows to carry much heavier loads. There are several suspension shocks possibilities. They can also be mounted at severalpositions to modify the robot clearance. The robot base can navigate autonomously or teleoperated by means of an optional PTZ camera / that transmits video in real time. The common sensor options include a Hokuyo laser scanner and a range of RTK-DGPS kits. It also has internal (USB; RS232, GPIO and RJ45) and external connectivity (USB, 12 and 24VDC) to easily add custom components.